2013 iMacs Are Here [Says Apple Offhandedly]! If you popped into the online Apple Store this morning and couldn’t tell Ivy Bridge from Haswell specs, you could be forgiven for not knowing a new all-in-one desktop had just been released. Yes, the 2013 iMacs are here, but aren’t featured on the Apple homepage and the new desktops don’t even warrant a “NEW” sticker on the store. The pricing remains the same and Apple didn’t even bother to refresh the marketing photos. Does Schiller sound excited — “continues to be the example” — or like he’s phoning it in? Not particularly pumped, it seems. In its press release, which Schiller hastily scribbled onto the wet bar napkin that was under his third Mai Tai, Apple calls the above processors “fourth generation Intel,” something everyone else refers to as Haswell. The main Haswell bullet points are improved battery life, better battery life, longer lasting battery and more powerful [Ed Note the lower-case “p”] integrated graphics. Separately, the 2013 iMacs offer 802.11ac wifi and improved Flash storage. Hmm, maybe Phil Schiller’s onto something (Bartender! Two of what he’s having). What’s your take? 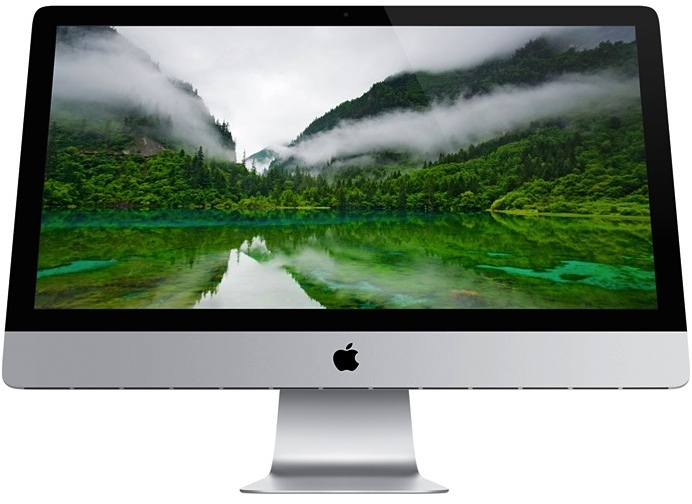 Have you been anxiously awaiting the 2013 iMacs and which one is the Apple of your eye?